Crisis turned into one heck of a tasty dinner! 1)good story, 2)tasty recipe 3)defrosting and cooking tips! We are counting down the days for our next round of beef sales. Customers come first “they say” and it is true at the 3T Ranch. Beef orders from our customers are fulfilled first and the 3T crew’s beef package is typically last one in the freezer. I opened the freezer today and realized we were out of ground beef. I’m a big “week ahead meal planner” and cheeseburgers were on the menu. Hmm.. let’s try quickly to come up with plan B while the two small kids are still napping. Let me tell you, it is hard to cook holding “two babies”. That is our daughter’s favorite saying these days after she wakes up from her nap. “Mommy, two babies”, which means she wants to be picked up and snuggled along side our littlest cowboy. I love that time with our kiddos, they are both still waking up from their naps and want some snuggles, but it doesn’t last long before they turned into little tornadoes. I needed to seize the situation! I guess one good thing about running low on beef is that you don’t have to dig through your freezer to see what cuts you have. (Will talk freezer organization soon, I promise)! Roast can be grinned up into ground beef. I have found my winner, chuck roast it is! You would be surprised, but it really doesn’t take long to defrost the beef. 1) unwrap the meat from the butcher’s plastic and paper 2) put it into a ziplock bag and squeeze out the air 3)put it into a sink filled with cold water. 4) flip the roast in the water every 20 minutes. My beef was defrosted in less than an hour. 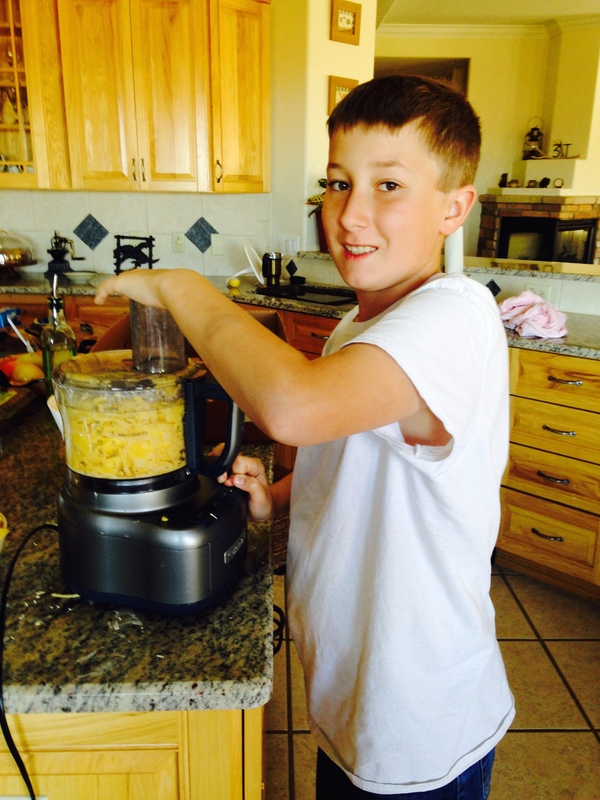 I love love my KitchenAid, I use it every day. I use it so much that my Cowboss bought me a new one to replace my “rusty old mixer”. I had the chuck roast grind up in now time without any mess or extra trips to the grocery stores. Tips for tasty cheeseburgers: 1 pound of 3T ground beef, 1 teaspoon of salt, 1/2 teaspoon of black pepper and 1 tablespoon of dijon mustard. The mustard really makes it! Healthy version of mashed potatoes: Your choice of potatoes, 2 teaspoons of Lowry’s seasoning salt, 1 teaspoon of garlic and pepper seasoning and 1/2 tablespoon of caraway seeds. Trust me, it just works with the potatoes. Make sure to include all of the seasonings while you are boiling the potatoes. When the taters are done, save about 1/2 cup of the liquid. I have used my KitchenAid to whip the potatoes and slowly included the 1/2 of the liquid. The potatoes don’t need any milk or butter. No extra calories and you are not scarifying the taste. 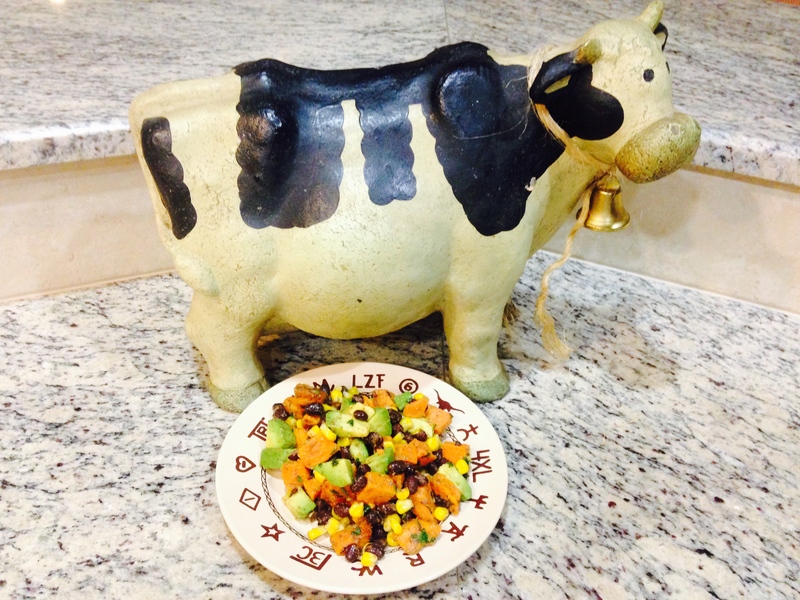 I hope you will try the recipe as well as our beef! We have been on a potato roll! 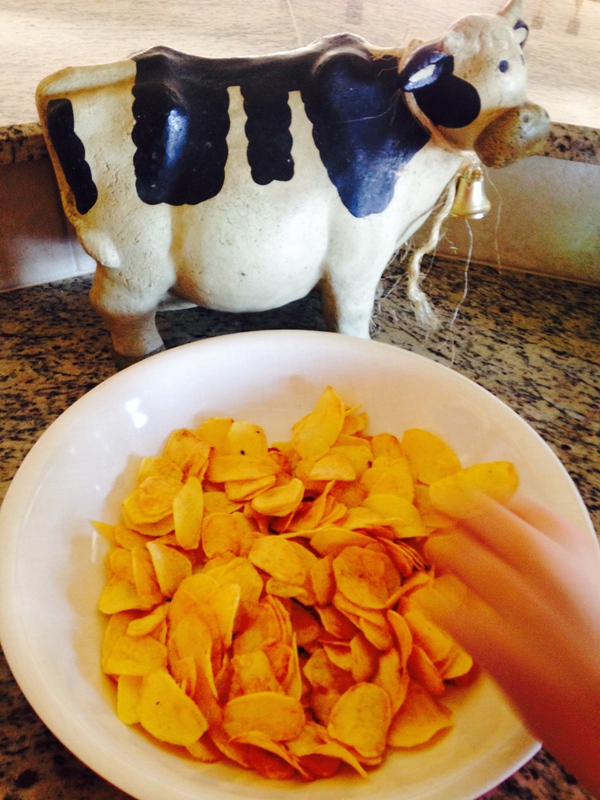 The top ranch hand loves helping his dad aka the cowboss rather than hanging out in the kitchen, but this time his tastebuds that love potato chips won! Here we go! This requires a little bit a prep, but trust me it is worth it and you will be licking all of your fingers.. twice! First, peel and thinly slice your potatoes. I found the best way is to slice them in your food processor. 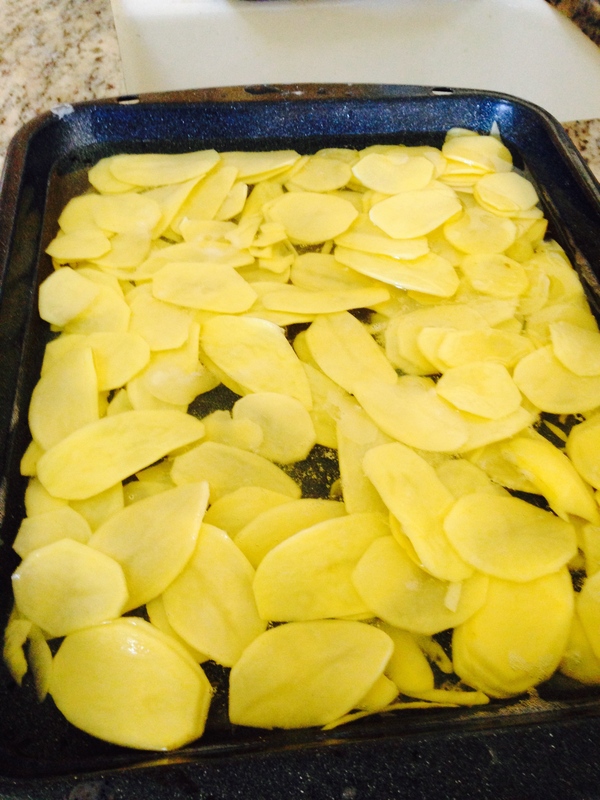 Put the sliced potatoes in a deep pan and cover with water. Let them hang out for about an hour. Don’t skip this step, the starch in the potatoes is your enemy, preventing you to have nice crispy chips! Heat your deep fryer to 355 degrees. Dry the potatoes, dry the potatoes and dry the potatoes. You NEVER want to put wet potatoes into your deep fryer, you don’t want to get hurt. The oil would bubble up really quickly. I have used my trusty salad spinner to dry the potatoes and then pat them dry even more with paper towels. Separate the chips into individual pieces. Fry your potato chips for about 5 minutes. Stir the potatoes a couple of times with metal spoon or fork. You will do about 5 – 6 batches, depending on the size of your deep fryer. Don’t overcrowd it! Have a cookie sheet ready with more paper towels to pat them dry. Immediately sprinkle with dash of salt, pepper and paprika. Tip from our top ranch hand: sprinkle your chips with salt and pepper (omit paprika) and this time top with crumbled blue cheese. We didn’t believe him, but it was finger licking good!